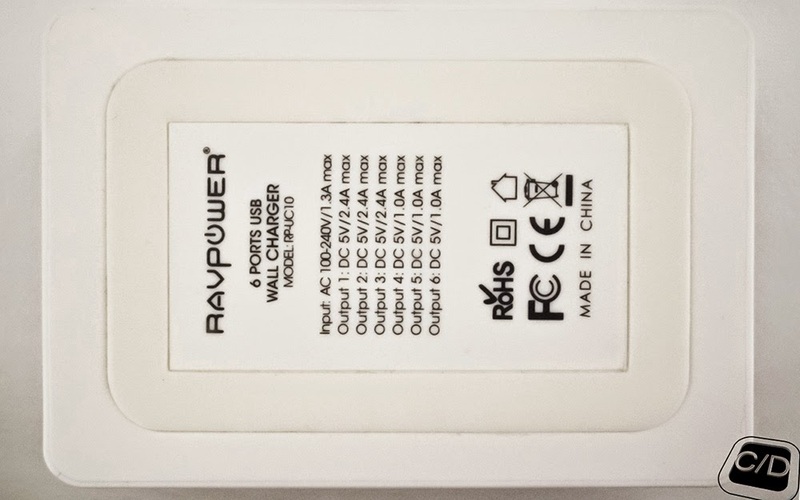 Everybody's got a charger... one for the phone, another for the tablet and much more for any mobile device you carry around (like cameras for example). How to lighten your bag? Where I can put all them? Will they fit in the bag? There is one only answer at these questions, "maybe not!" and you shouldn't become a globetrotter to damage these devices when you move around. 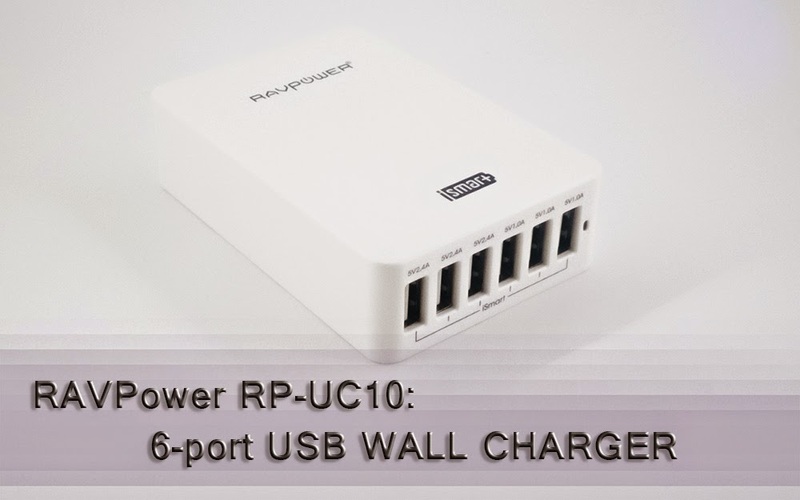 For these considerations, the RAVPower WALL CHARGER RP-UC10 is one of the better choices. With around 29mm thick, a very solidly built and available in black or white, as you prefer. 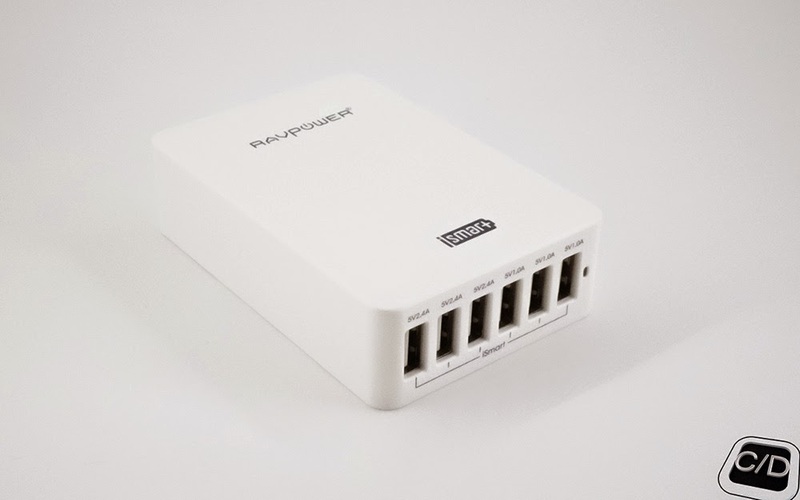 The six-port WALL CHARGER was made in matte plastic, with a 91.44mm x 59mm footprint housing, three 2.4A (max) USB ports and three 1A (max) USB ports; for a total current amount 10.2A output. 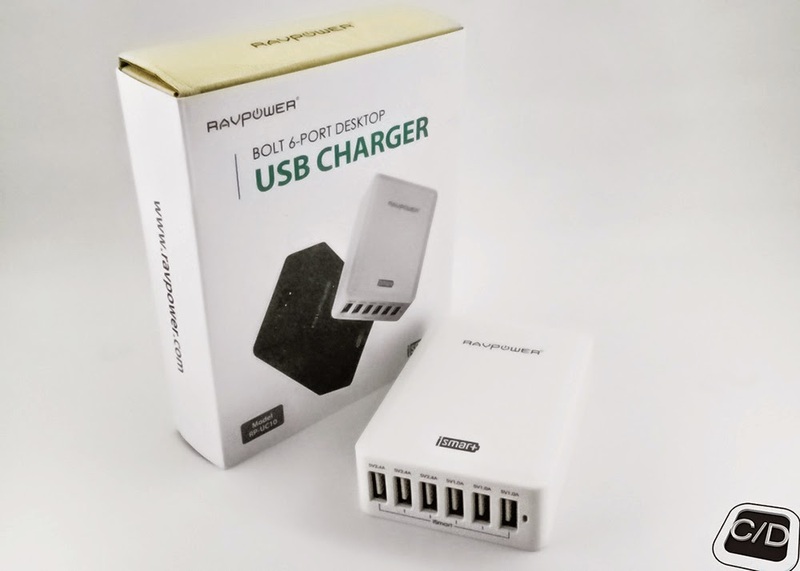 RAVPower ships it with detachable wall cable and gives it a rubber anti-slip bottom ring, as it's designed to sit on a flat surface with cables connected, but it works as well in vertical position flipped on a side. Personally, we prefer this way (less dirty which sticks on rubber ring). Now... let's start to talk about technical info and our impressions. 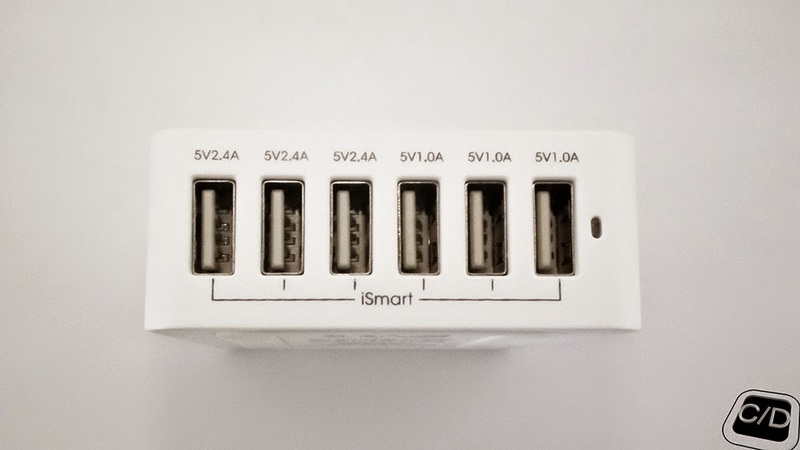 This device is equipped of iSmart technology on every single port. 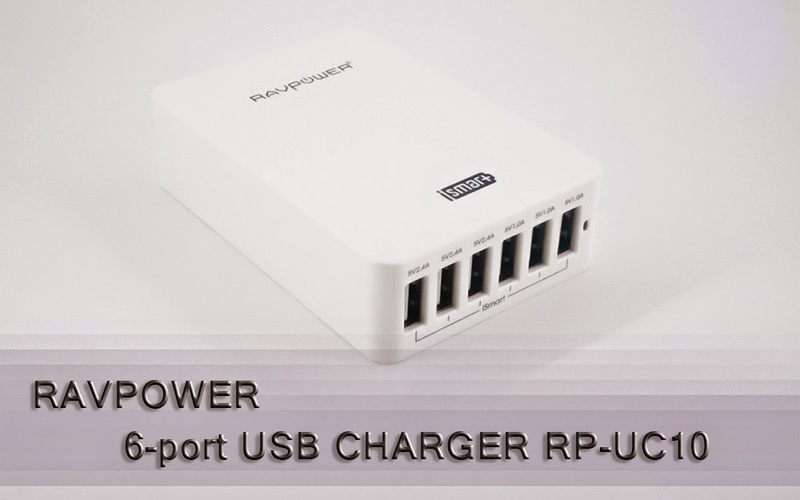 This technology automatically matches the maximum charging current designed for your device and minimizes charging time. We suppose this feature manages the flow of current by changing switching frequency, so (as noticed from some users) it produces a thin noise, audible at current increasing (it means more devices connected more noise). 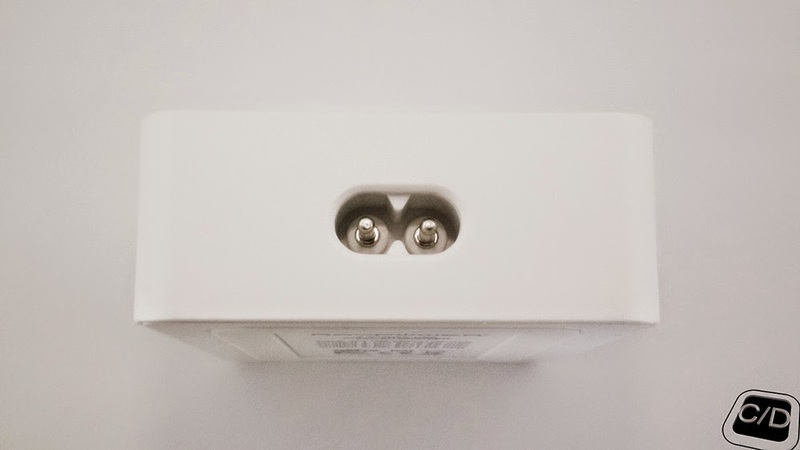 Any way, as we checked, it's every time under control and even after hours of use we cannot tell it's too much annoying. So keep calm if you listen something, it isn't a real problem. All negative aspects expire here. The positive aspects such as multiple supply outputs, as well as a good current stability, as well as a current matching on charging are dominants to evaluating a purchase. 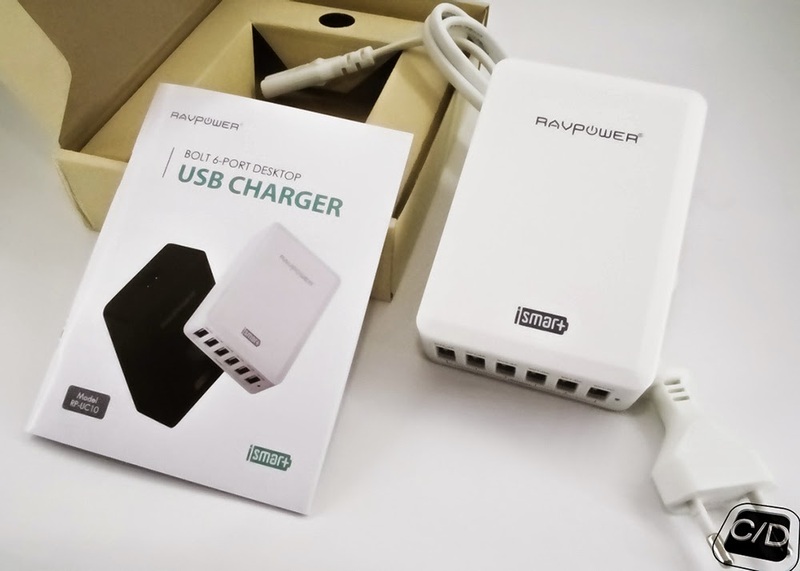 This means it could be an important partner in our professional daily work and be used as main power source for lamps, camera and lots of ultrabooks that are powered at 5v without take along other chargers. 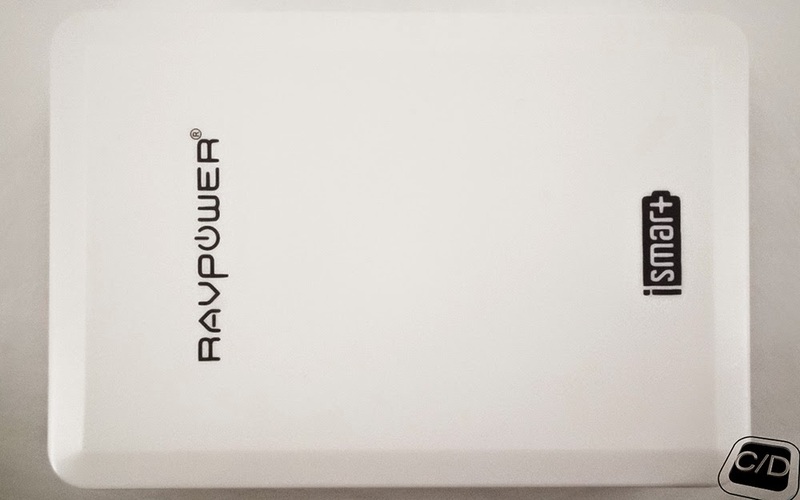 A complete professional laboratory solution, for photographer and blogger (...and their prototypes will be safe), powered by a single portable matching current device. If you are people that have to travel or those that have to have a secure source, you can't come out without it.